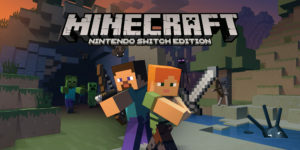 Minecraft: Nintendo Switch Edition sets itself apart from other versions of the videogame by including a number of Nintendo-exclusive additions. 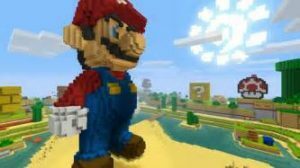 The Super Mario Mash-Up Pack, previously available to purchase separately on the Nintendo Wii U, is included as standard in Minecraft: Nintendo Switch Edition. This includes 40 different Super Mario themed skins and entire preconstructed worlds from the franchise. Furthermore, Minecraft: Nintendo Switch Edition is a rendition of the original Minecraft videogame opposed to the ‘Pocket Edition’, meaning that it is the first version on a portable gaming platform to bring the full experience on-the-go. Available to download now, Minecraft: Nintendo Switch Edition allows up to eight players to play online within the same world, and up to four on a single Nintendo Switch system. Are you planning to build your own worlds in Minecraft: Nintendo Switch Edition? Let us know in the comments below!